When traveling through clouds or fog, we have to exercise caution, because hidden dangers are enveloped in mist and obscured. But that is also why the cloud was a perfect cloak for God. It allowed Him to journey with His people, the Israelites, yet remained hidden. The “pillar of fire,” too, revealed and concealed God’s presence (Exodus 13:21-22). Knowing that the enemy was in pursuit, and hearing the wind blowing all night, the Israelites must have wondered what was going to happen and why God was taking so long. But God always knows what’s best for His people and He is always on time. We may not always understand God’s ways because His ways are higher than our ways and His thoughts are not our thoughts (Isaiah 55:8-9), but His way is always the right way. So let us be reminded that God knows what He’s doing; He isn’t in a hurry, and as long as we follow Him, we are safe and in the place of His blessing. Going back to the verse, when God led His people out of Egyptian slavery in a pillar of cloud, He did not only make sure that they knew He was near, but also that they could not exploit His presence nor control His movements. “The Lord said He would dwell in the dark cloud” (1 Kings 8:12). 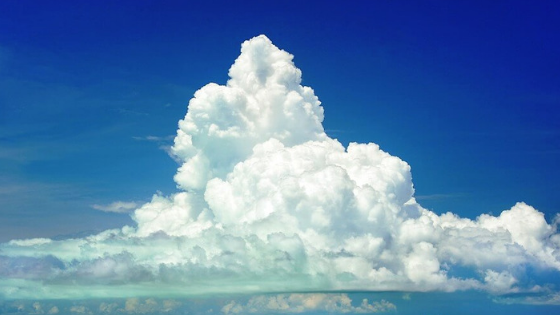 But what does the cloud teach us about God? Why did God wrap Himself in a pillar of cloud while leading the nation of Israel out of Egypt into the Promised Land? The cloud indicates that partial vision is our normal experience of God (1 Corinthians 13:12) and that we know infinitely less than what there is to know. Or maybe you are deeply thinking of something else that concerns your family; your job or you’re already planning in advance what you can do tomorrow to make things less tiring and stressful. But then again, maybe it is because God wraps Himself in a pillar of cloud. When we are trying to pray but it seems our hearts and minds are lost in a fog, we are to move through it by faith. Regardless of how we feel at the moment, we need to make a firm decision to trust that God is present though hidden. When we do, we will be at peace with the dark cloud and then God’s light is revealed. You will see all of these and more as examples of Christ in the story of the Exodus.